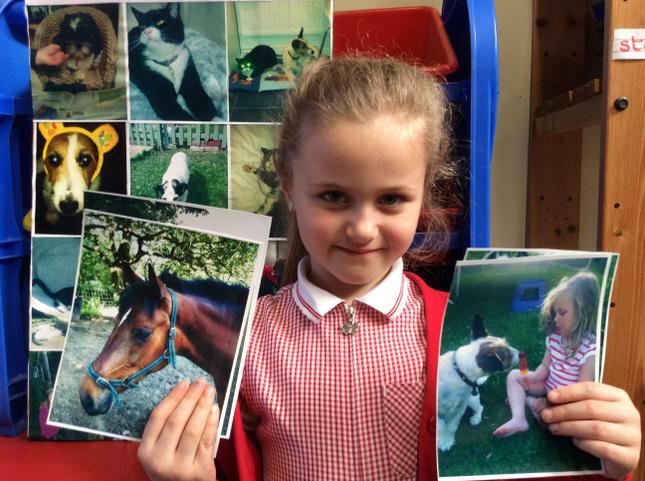 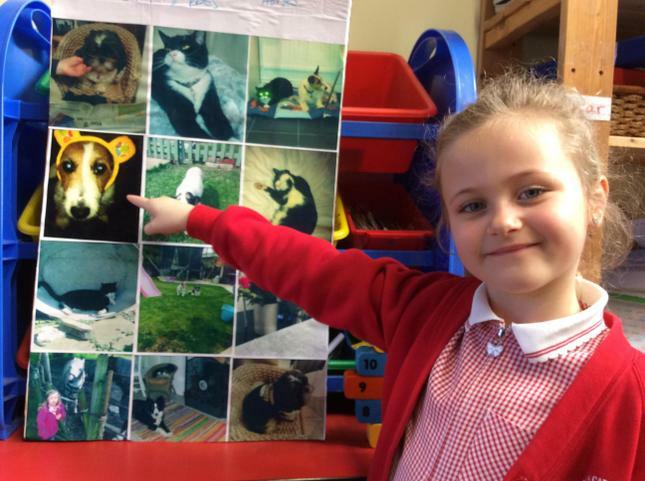 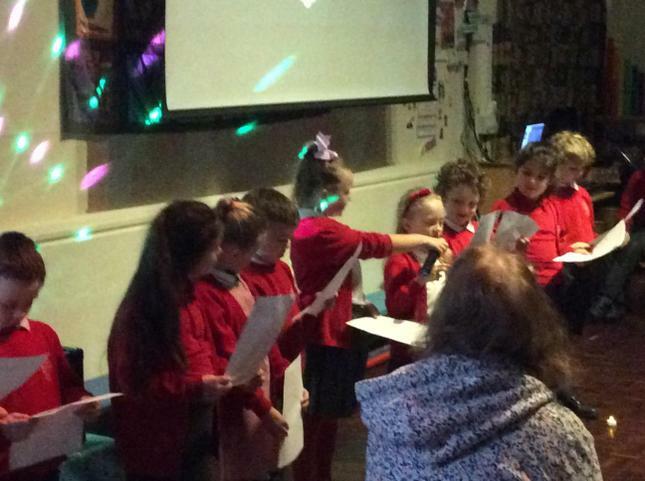 As part of our speaking and listening work we have been creating our own presentations to present to the class. 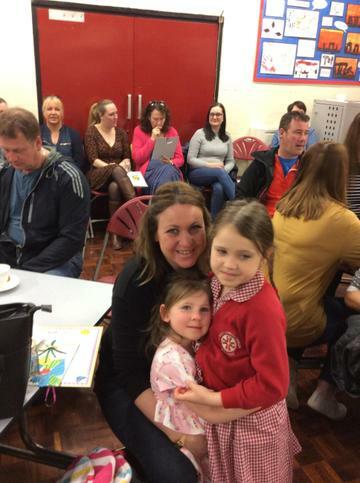 We invited our parents to join us. 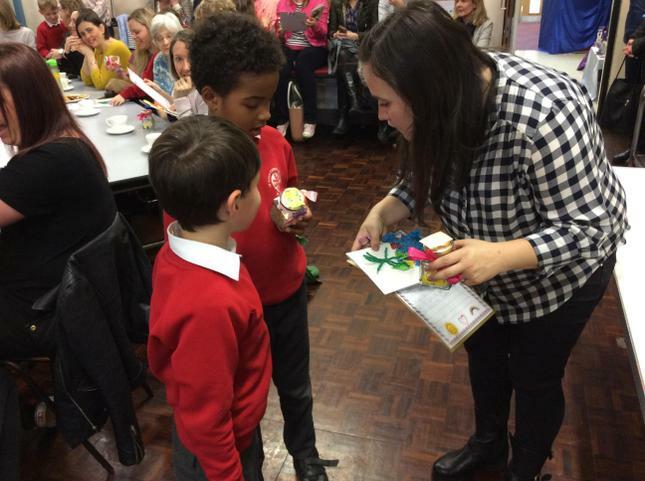 We created class competitions too. 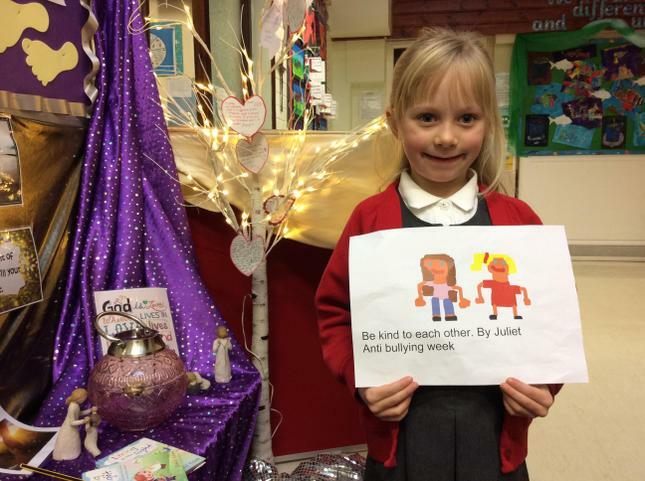 During Anti-bullying week we read the story of 'Something Else'; a story about being left out because you are different. 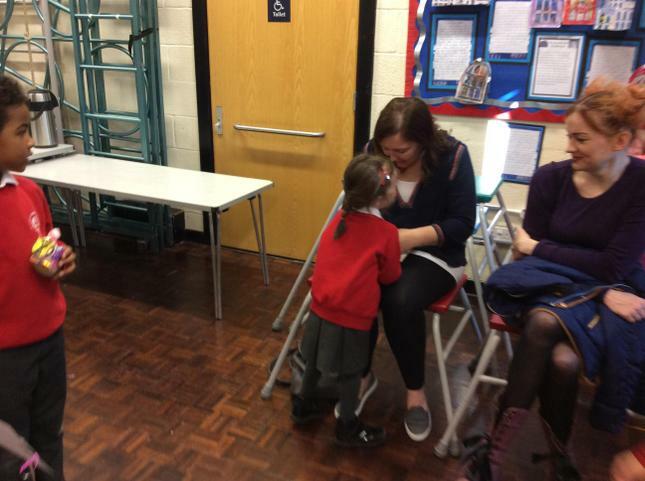 We all agreed that this is not how to treat people. 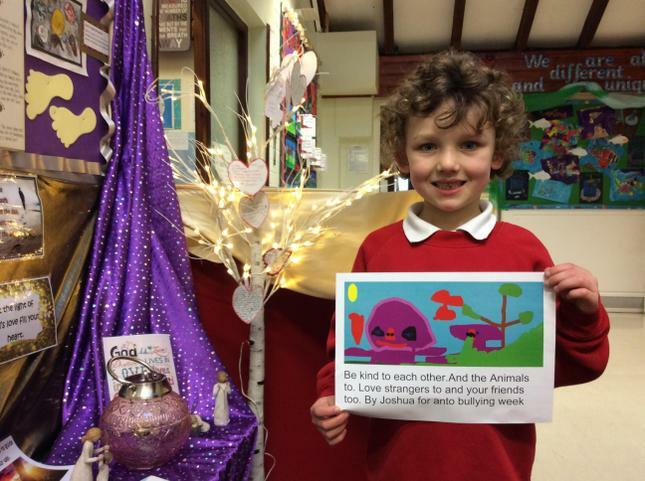 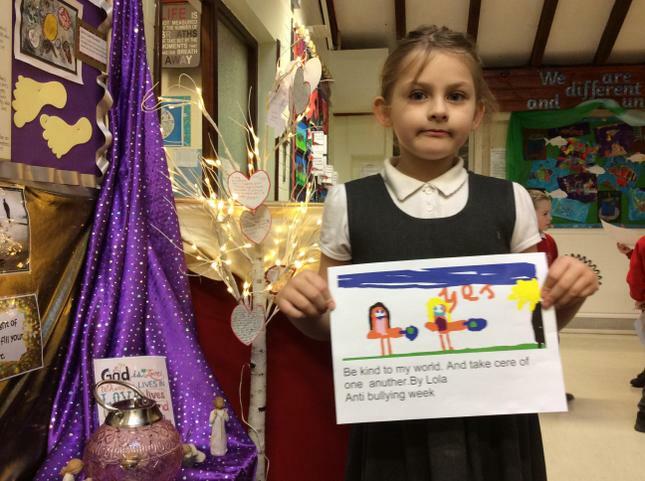 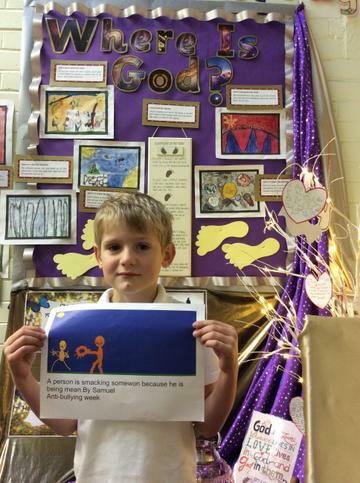 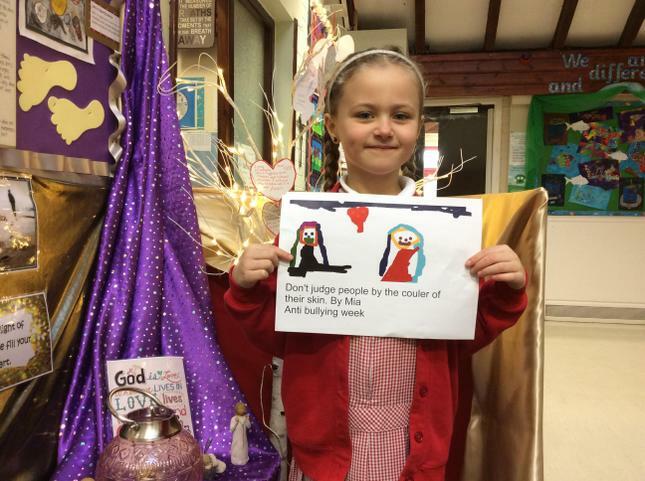 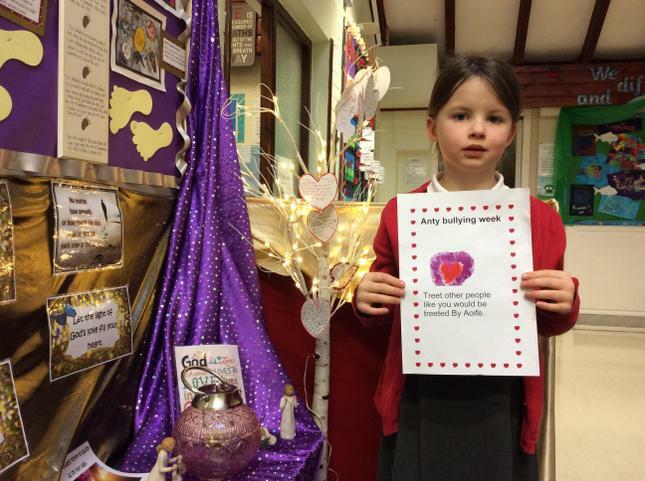 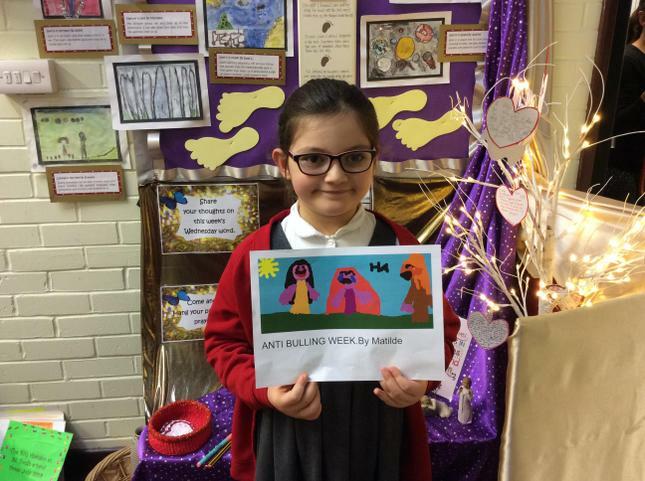 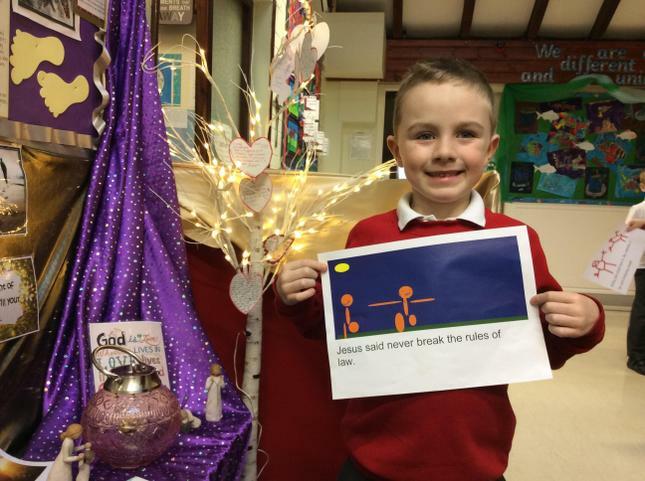 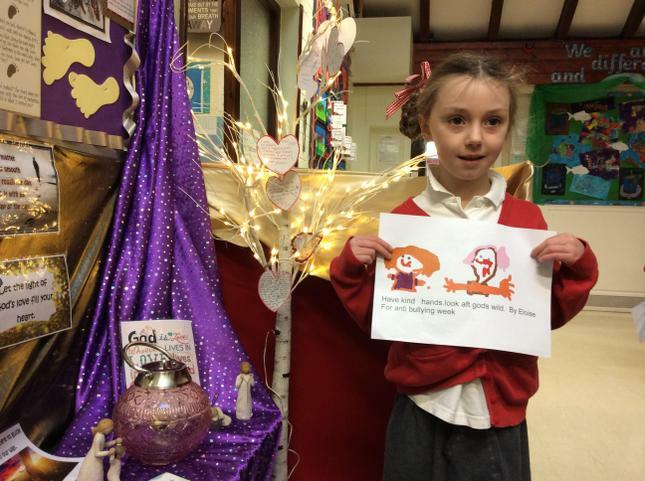 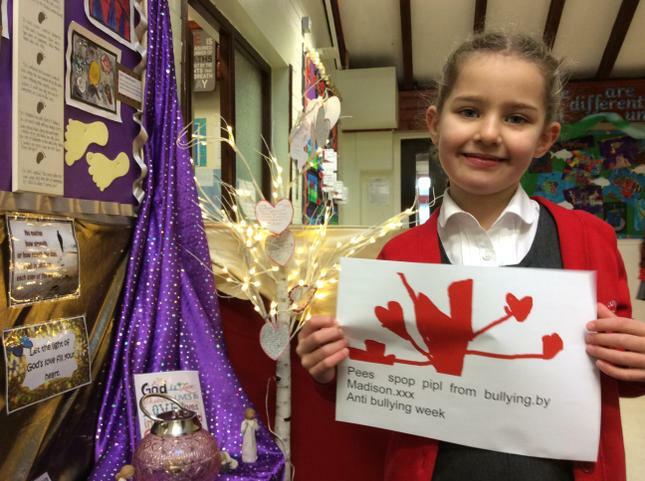 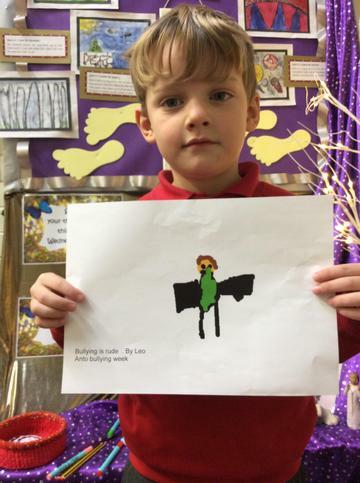 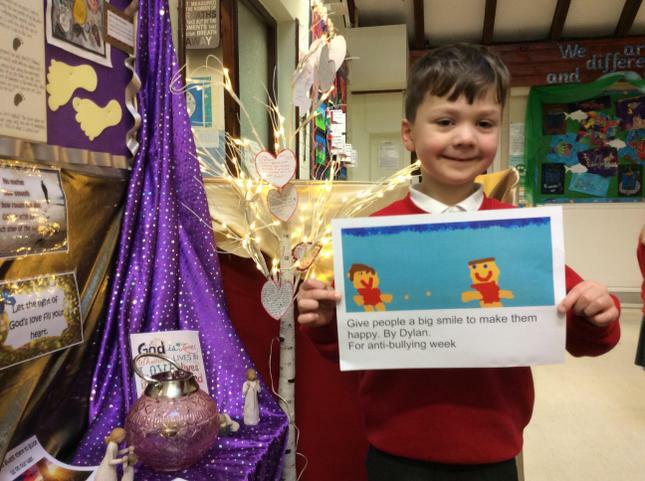 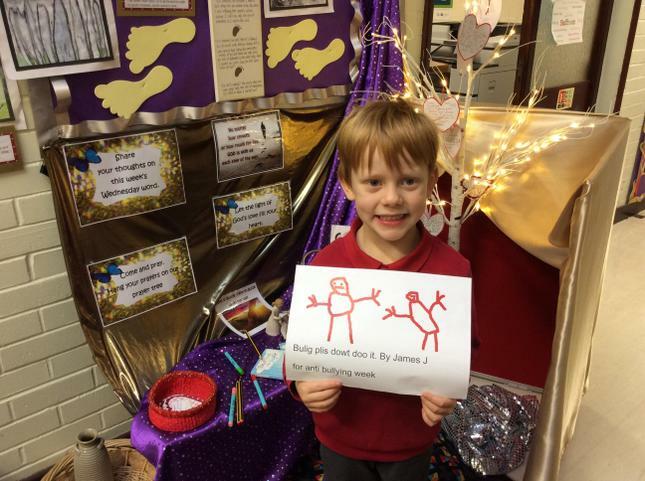 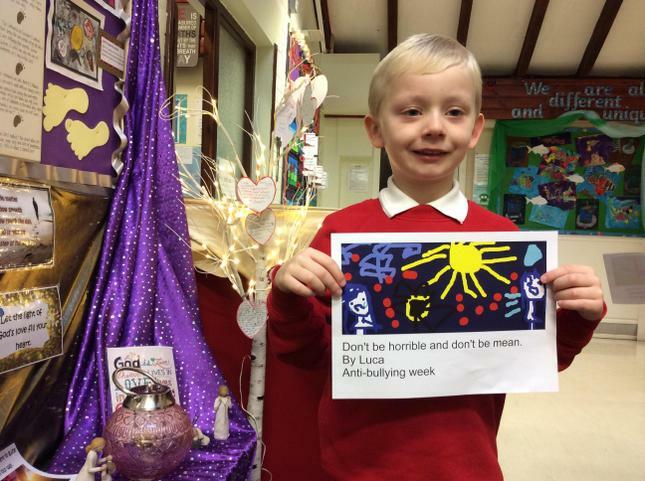 Drawing on our school values and the example we follow from Jesus we designed outer own anti-bullying week posters. 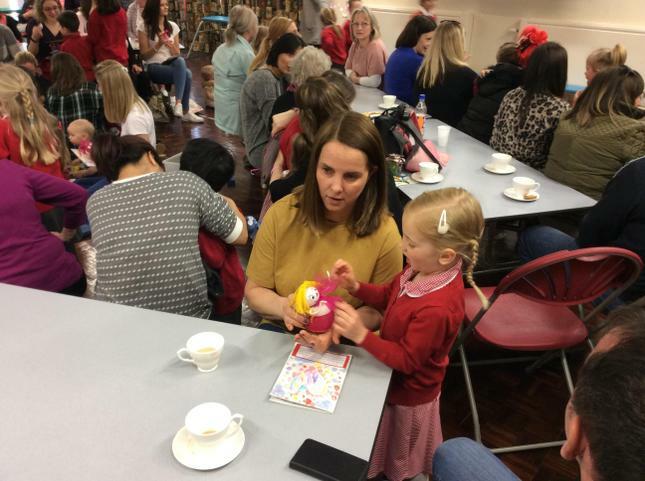 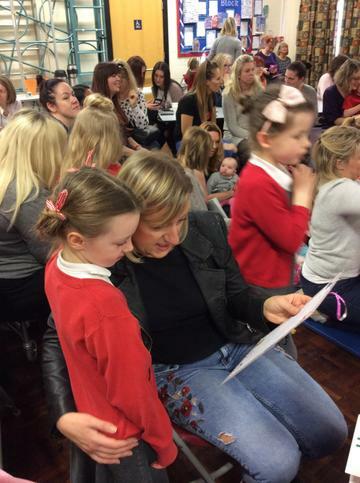 Today, as a school we celebrated Mother's Day by inviting all of our mums to come and join us as we performed a song for them. 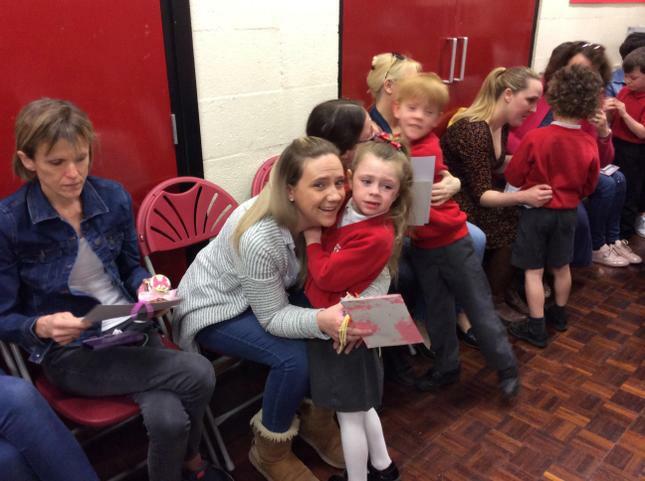 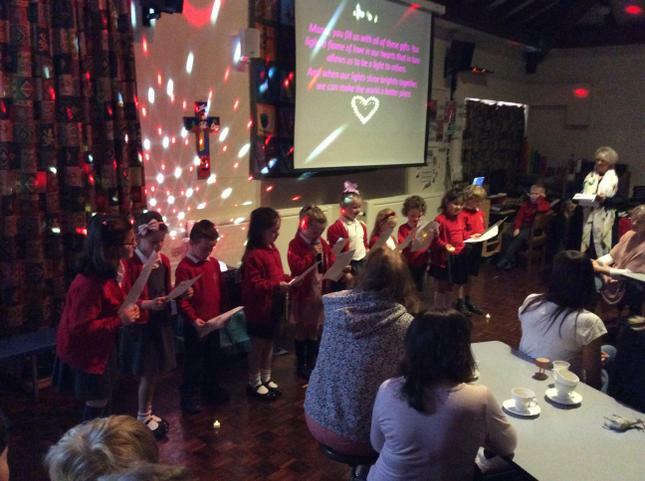 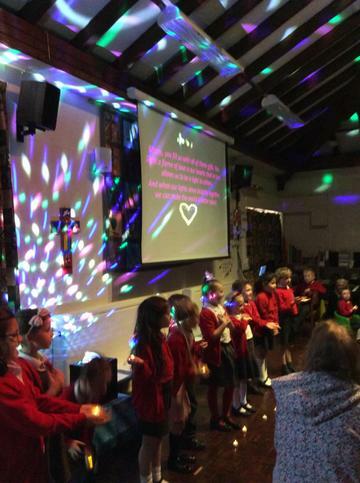 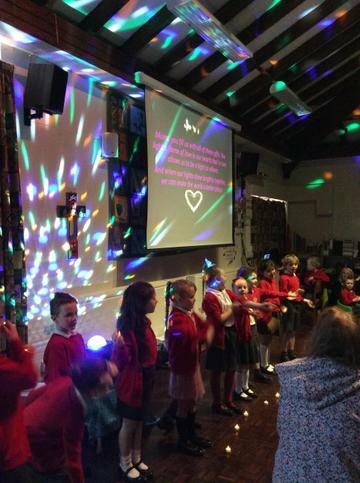 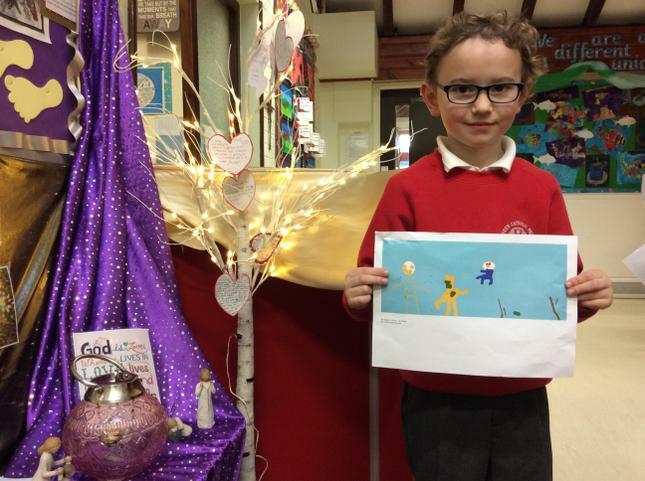 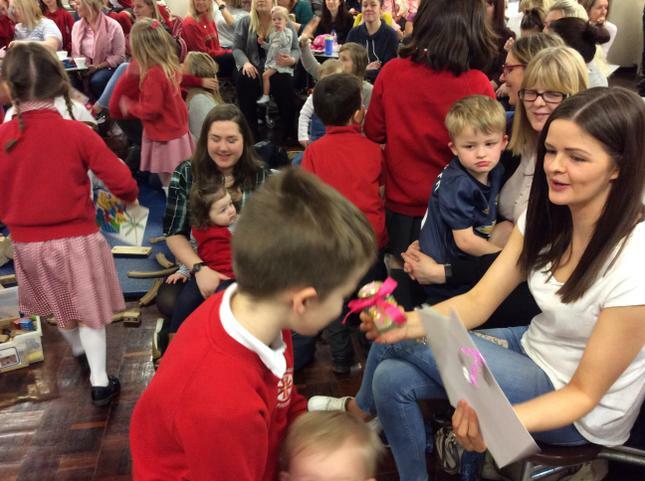 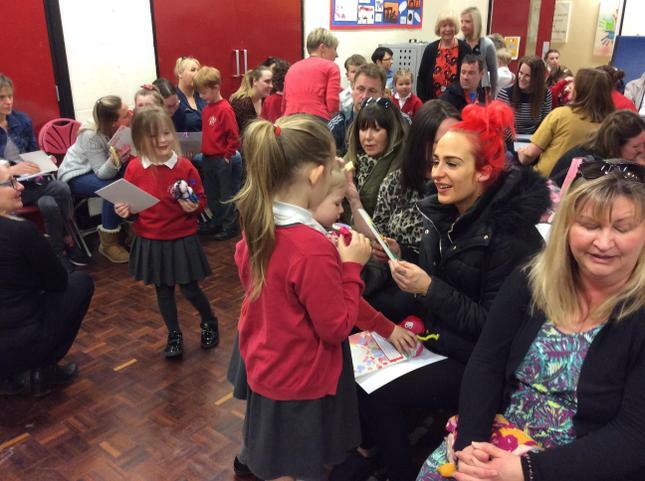 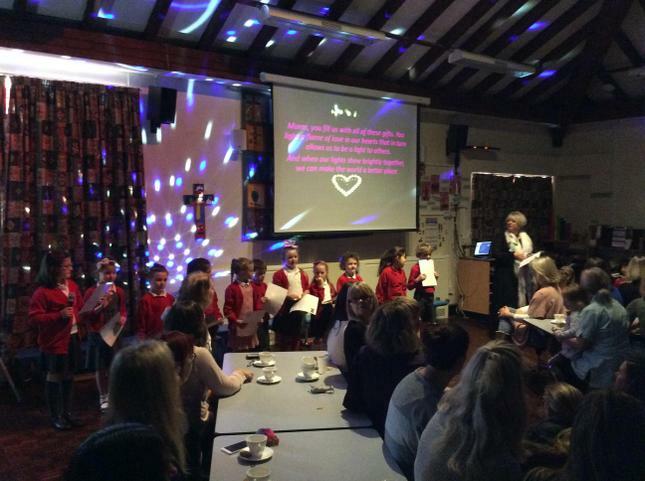 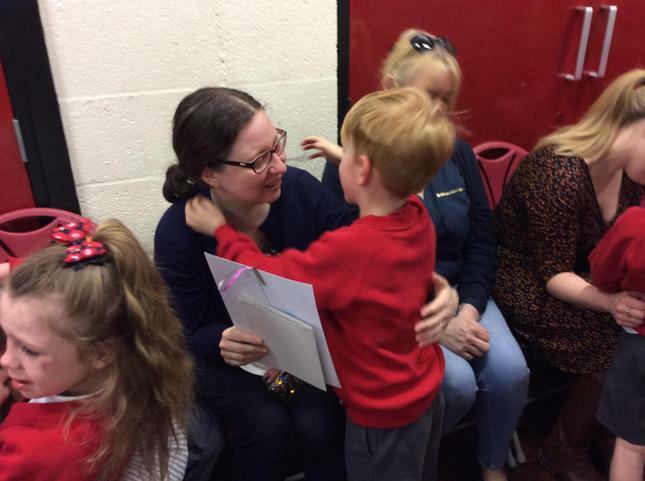 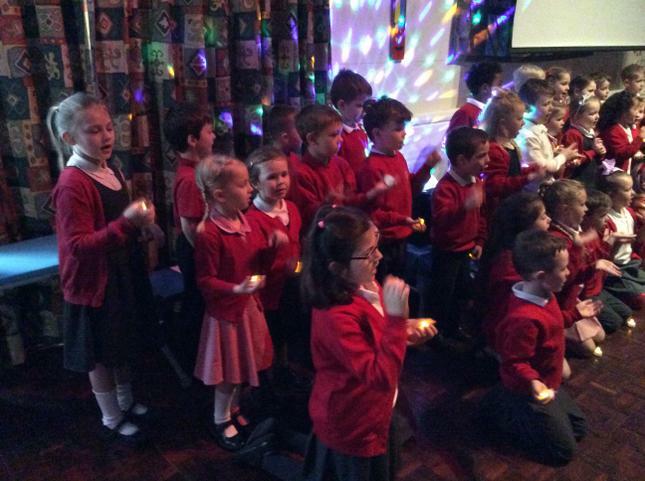 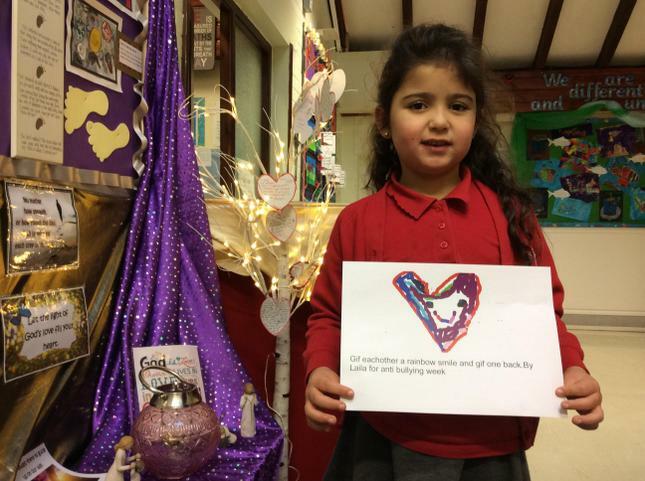 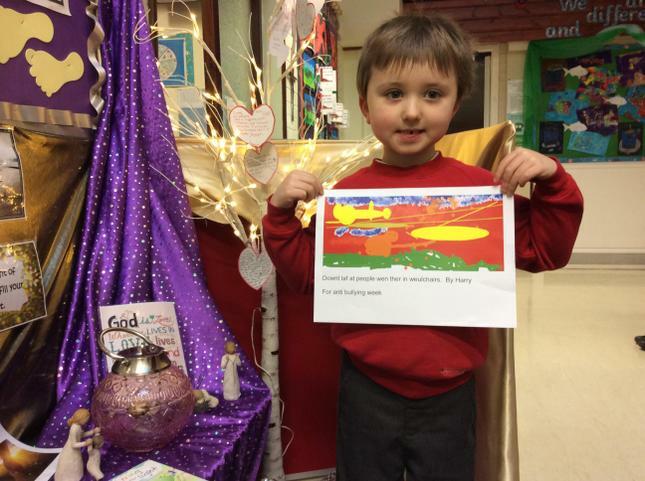 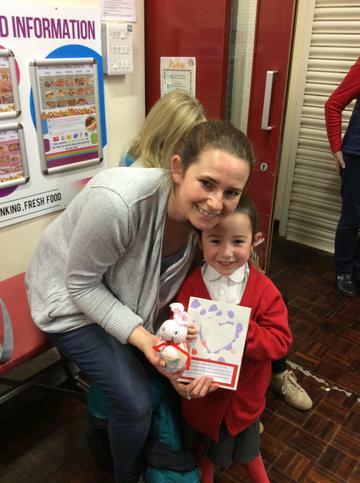 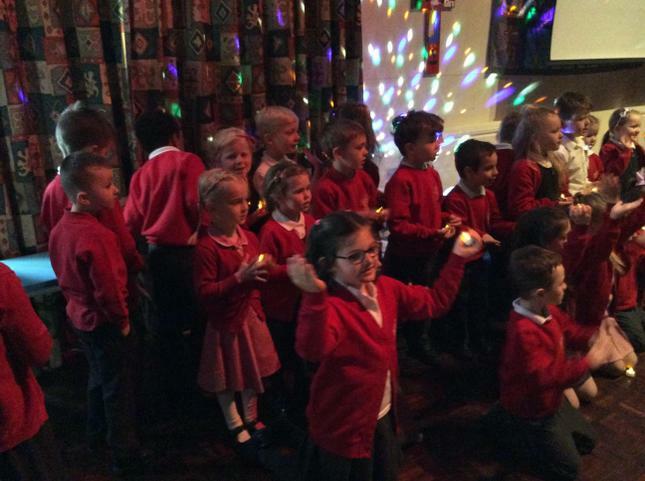 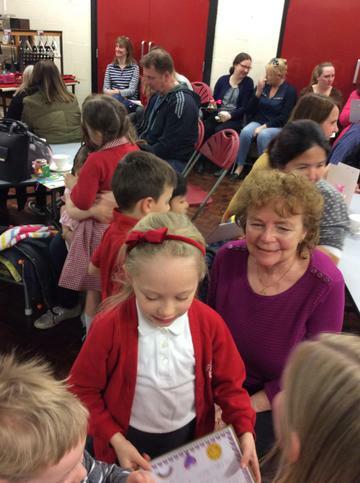 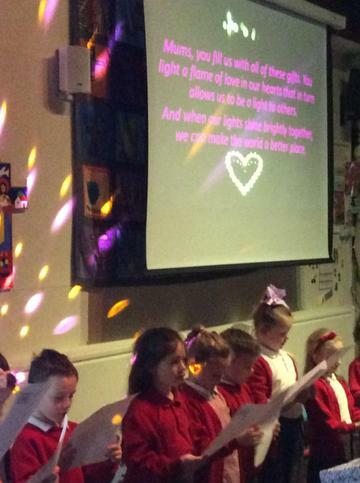 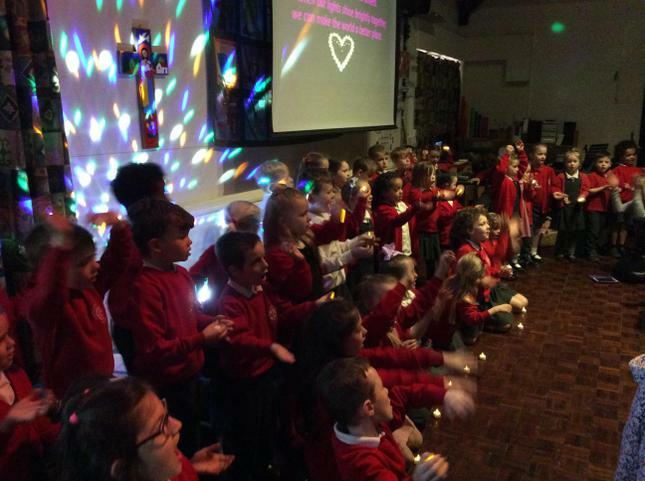 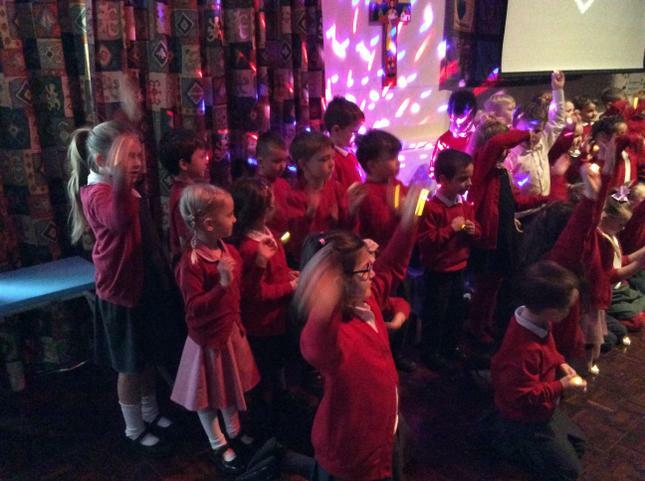 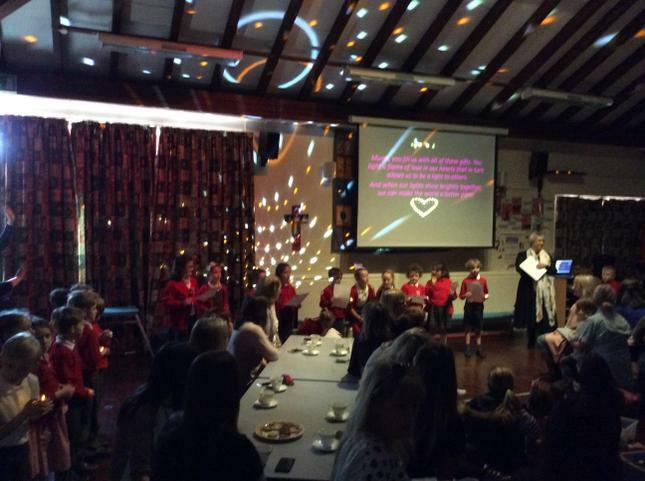 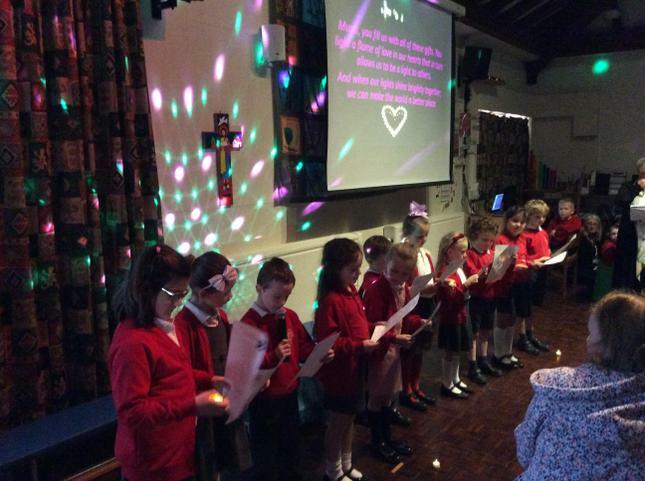 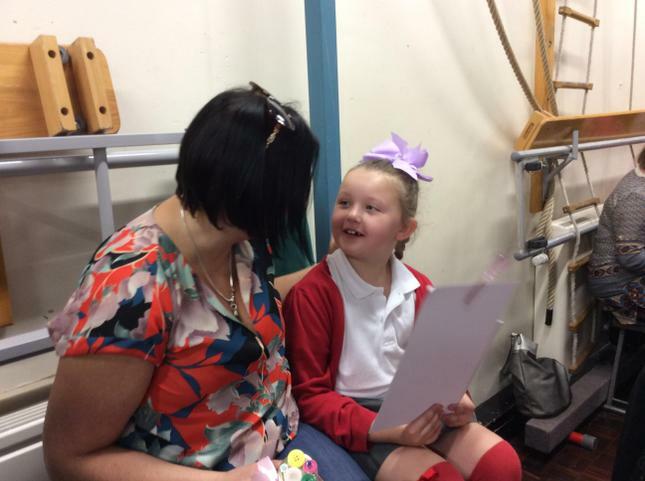 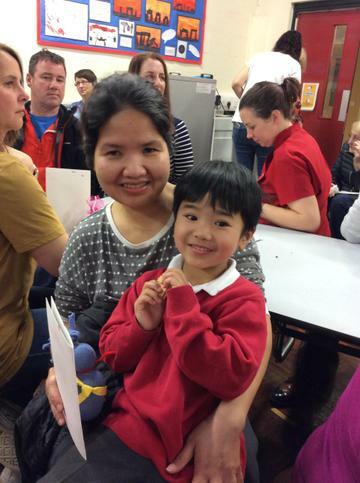 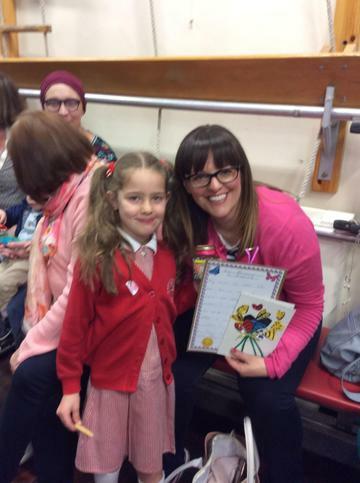 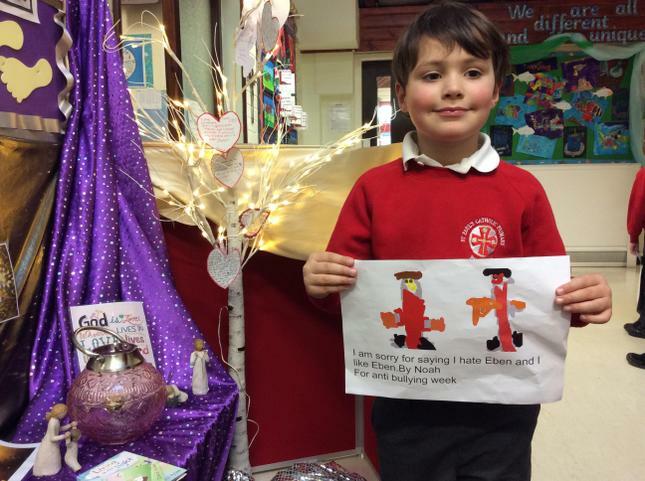 We sung 'Love Shine A Light' ; thanking our mums for being very special lights in our lives. 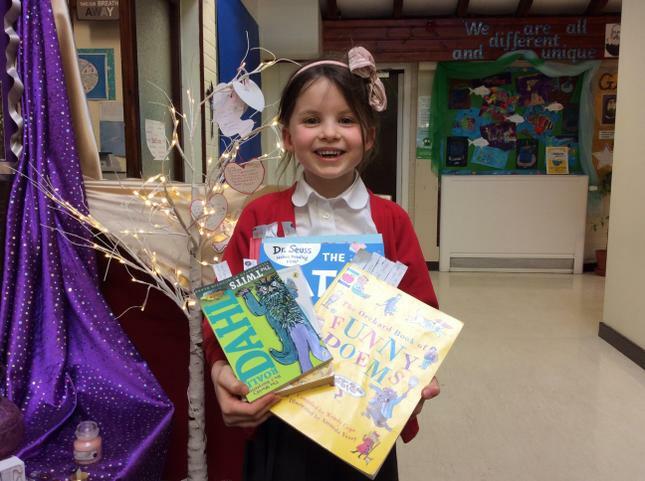 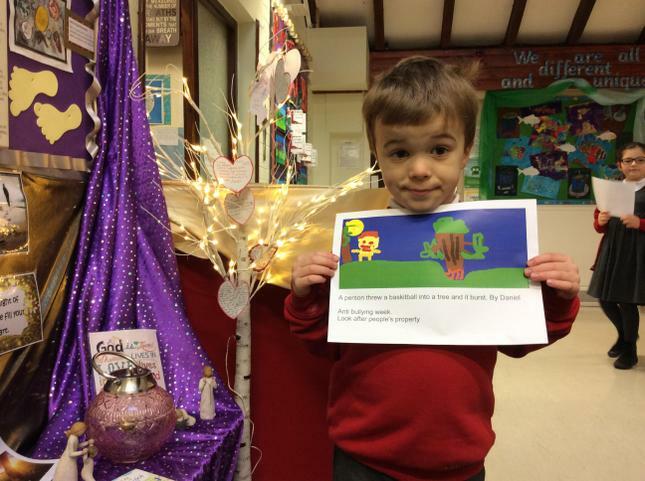 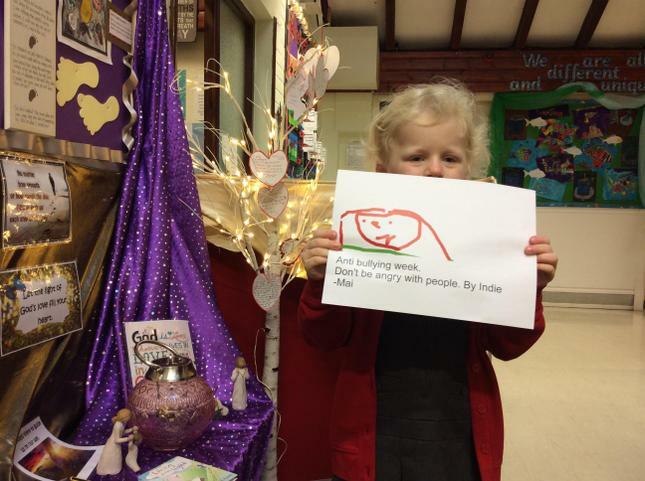 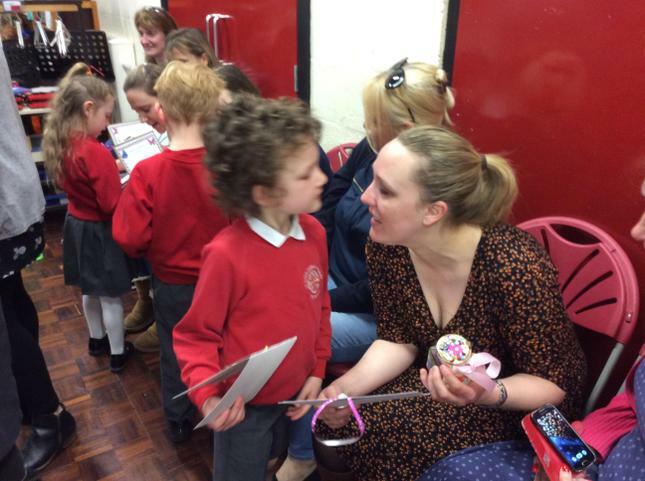 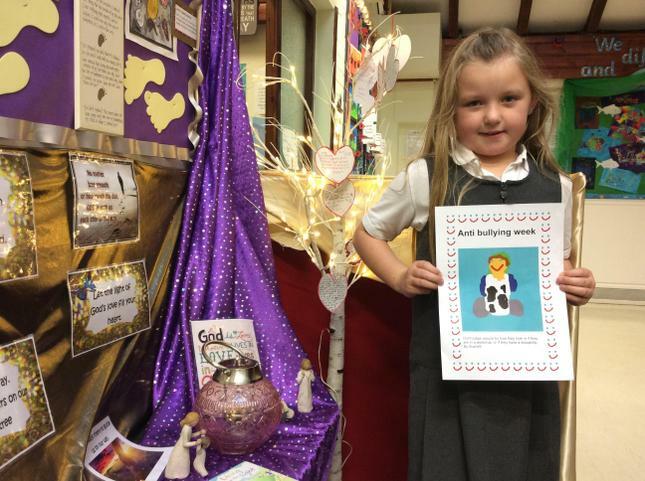 We then presented them with a card, poem and hand decorated glass tealight jar. 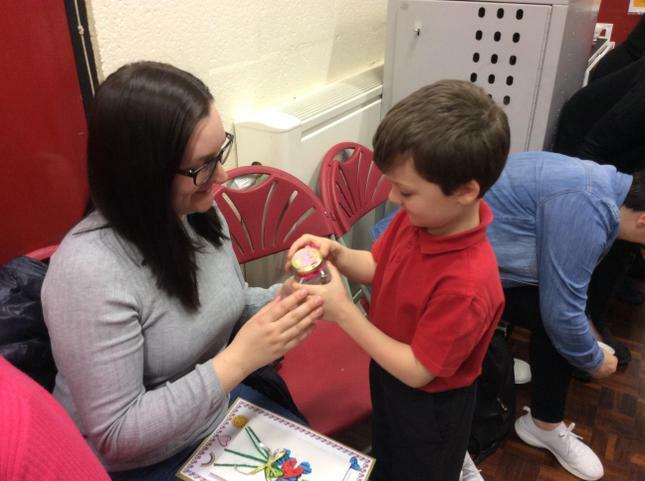 It is important to take time to say 'thank you'. 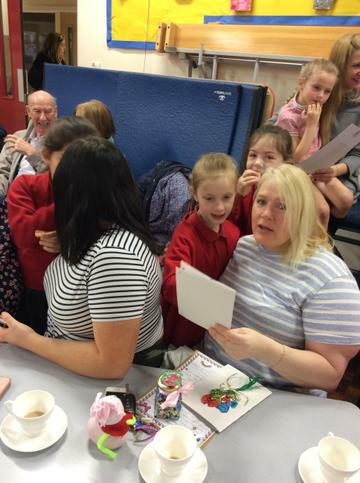 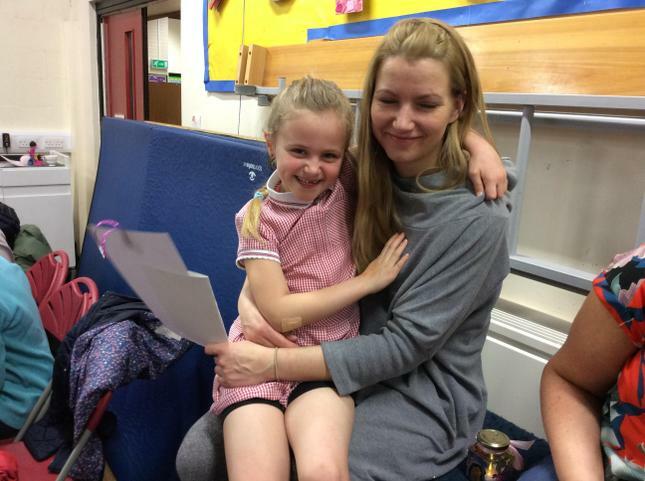 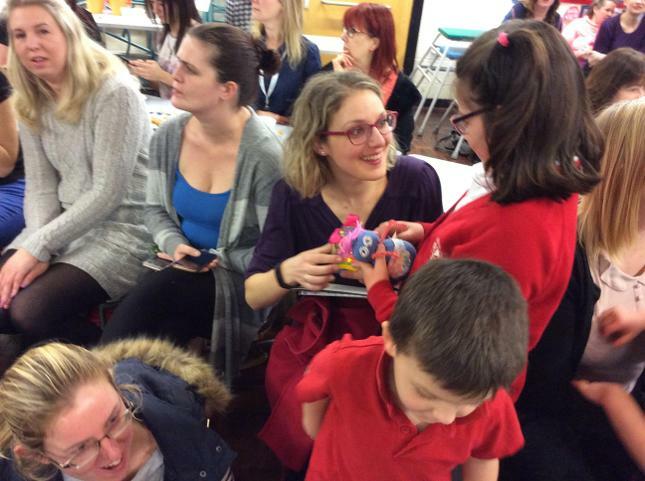 Presenting our gifts to our lovely mums.